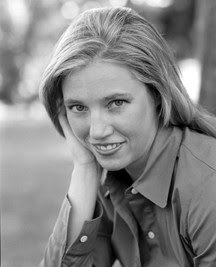 Susan Juby is the author of the Alice series, Another Kind of Cowboy, and Getting the Girl: A Guide to Private Investigation, Surveillance, and Cookery. What is one thing you'd like your teen readers to get out of your books? Enjoyment, first of all. Followed by comic relief, a sense of identification and the awareness that weirdos rule. Or at least they should. Your Alice series focuses on a protaganist, Alice, who is an outcast and doesn't really mind. What influenced you to write about her? I spent a portion (but not all) of my younger years in the pit of unpopularity and turned myself inside out to fit in. I wish I hadn't. So I wrote someone who is able to withstand the tremendous pressure to be like everyone else. Your books cover a wide array of subject matter: what's the reason for this, and what can we expect from you next? I write what I'm interested in and I'm interested in all sorts of things. As you pointed out, my books are, at heart, about the pressure to fit a mold and how difficult it is to defy expectations. I'm planning to write my first piece of science fiction. I'm very excited about it. My goal is to write every type of book I love to read, and I love a certain type of speculative fiction. Was it hard to adopt a male voice and write from Sherman and Alex's perspective? It was harder (in the case of Alex) to write in the third person because my first three books were in first person. As for Sherman, he's written in the first person but I felt like I heard him very clearly right from the start. I've also read dozens of male coming of age stories and have three brothers, so enjoyed putting myself in the shoes of a fourteen year old boy. If you could meet any writer, living or dead, who would it be and why? I'd like to meet Richard Price, who wrote Clockers and, more recently, Lush Life. I love his work and I've heard him interviewed on the radio and he sounded like a funny and intriguing person who is a world class talker. He's got an amazingly wide range of interests and a generous way of seeing the world. If you were to have a biography, what would it be called? I'm working on a project now that is in part a biography. It's called Nice Recovery. If you weren't writing, what job could you imagine yourself having? I'm always fantasizing about possible careers. I could see myself being a parole officer, a hair stylist, a costume designer, a breakfast cook or maybe a groom for someone with a team of polo ponies. Oh, and I've always been interested in becoming a butler. Buttling seems like it would be an interesting job. Did you consciously choose to write YA novels, or did your writing just turn out targeted for teens? I did not set out to write YA. After I finished my first novel, Alice, I Think, the publishers I sent it to told me it was a teen novel. I have always been interested in teens and in coming of age, so I was fine with that diagnosis. I would like to fly. Or to heal people. One of those. At this stage, the ability to touch my own toes would feel like a superpower. Perhaps I should stretch more. Anything I didn't ask you wish I had? Where can one find the best cupcakes in the world: The Old City Bakery in Ladysmith, BC, Canada. Great interview! I love Susan Juby- she's so nice and sweet!